We created this treatment after receiving numerous requests from our clients who said they loved the results they see from our medical microdermabrasion treatments, but longed for the utter relaxation of our facial remodeling massage. Born was MicrodermaBliss, a full facial remodeling massage which is	exclusive to Blue Water Spa, combined with a full microdermabrasion treatment. Medical-level Microdermabrasion leaves the skin soft and renewed, with more even pigmentation, increased tone and a youthful glow. Excellent for both	active acne and acne scarring, this treatment can also minimize sun damage and decrease hyperpigmentation and discoloration. 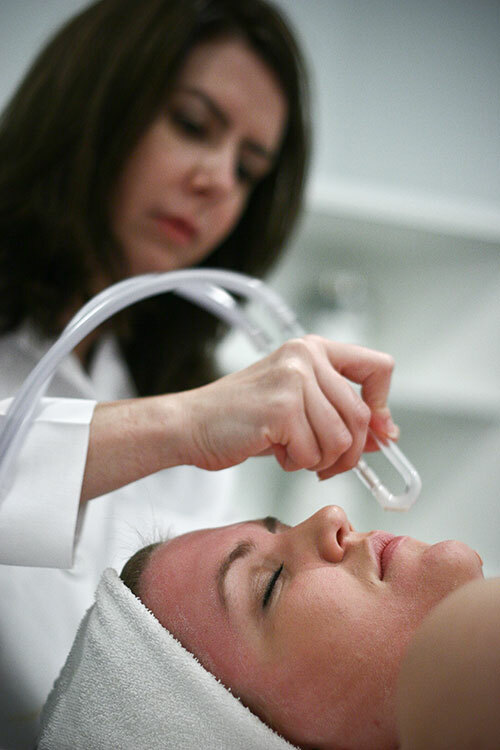 Microdermabrasion can be performed on any area of the face or body. New collagen production will result, providing both immediate and long-term results. We are so confident in our method of treatment and our equipment, that we guarantee our results. All facial treatments include the neck and eye area. The Microderm-A-Bliss Facial includes our popular Signature Facial Lifting Massage. The Signature Facial Lifting Massage is designed to target trigger points, release tension and drain fluids. This massage firms the skin and increases circulation to help nourish the cells. It also moves the lymphatic system to drain excess fluids from the face and neck leaving a firmer brighter complexion. A custom masque is applied to rejuvenate the skin. Thorough deep pore cleansing is performed precisely to minimize irritation and purge any build	up within the pores. 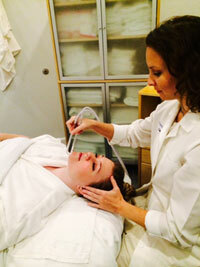 Blue Water Spa chooses a variety of the safest and most effective medical-grade products. Based on your skin assessment and your home care routine,	your aesthetician will use a custom combination of products that are most beneficial to your skin. These are applied while the skin is in its most receptive	state for maximum penetration of these precious healing ingredients. During this treatment more time is allowed to ensure that your skin care concerns are thoroughly addressed. This facial is ideal for all skin types, except	Rosacea and thin skin; for these skin conditions, we recommend chemical peels.